Since my most recent loss of routine, I’ve adapted quite a lackadaisical approach to cooking as well. By that, I don’t mean that I eat boxed macaroni and cheese everyday. No, quite the opposite actually. I’m having more fun in the kitchen. For a while now I have had the same routine of going to Publix every weekend with my grocery list and most of my meals planned out for the week. Lots of things were on an automatic cycle as I rotated through my go-to recipes. It was just easier for me since I was so busy, and not to mention on a strict budget which I was adamant about sticking to. The budget is still intact, however I’m a little more lenient. But now that I’m not so busy, I stopped worrying so much about planning when it came to meals. Now I’m trying to really just go with what sounds good. My favorite thing to do now is to stock up on the essentials, like eggs, basic veggies and fruit, chicken, ground turkey, oatmeal, rice, etc. and then while at the store, I stick a few fun items in my cart if they are on special. I say “fun items” because half of the time I don’t have any idea of how I’ll use them. And if you’re anywhere near as cool as I am (sarcasm, if you didn’t catch it), then you find joy in figuring it out along the way. This past week, my favorite impulse buy was two cartons of fresh figs. Figs – if you can get over the awkward tentacle-esque interior, they are one of the most decadent fruits you will ever eat. It’s just a bonus that they’re so high in fiber. California figs are in season from late June to September, meaning right now they are trying to get rid of all the early season crop. And wouldn’t you know it, Publix had them on sale this week. 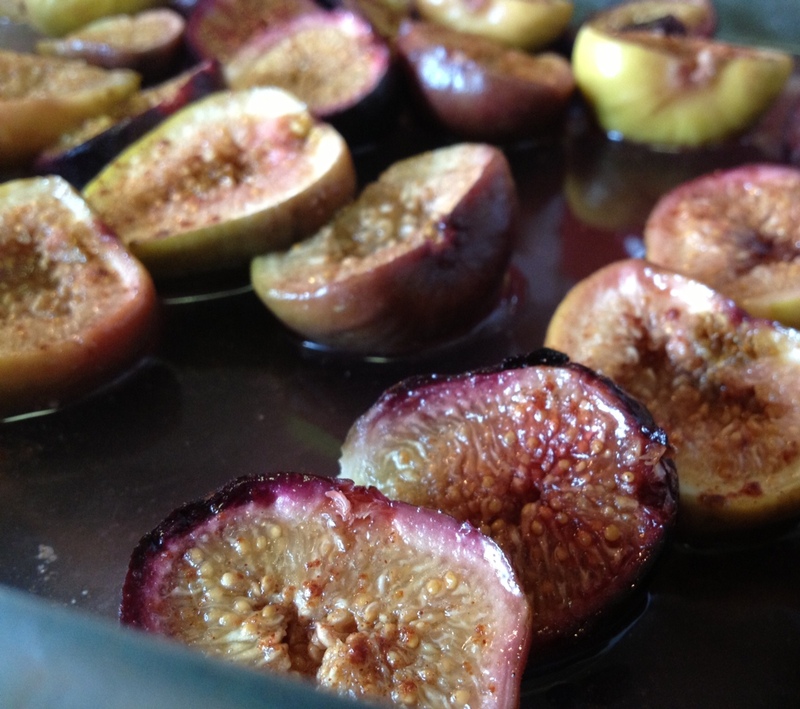 Wash figs and remove stems. Discard any that are too squishy. Figs will keep in an airtight container in refrigerator for 3-4 days. 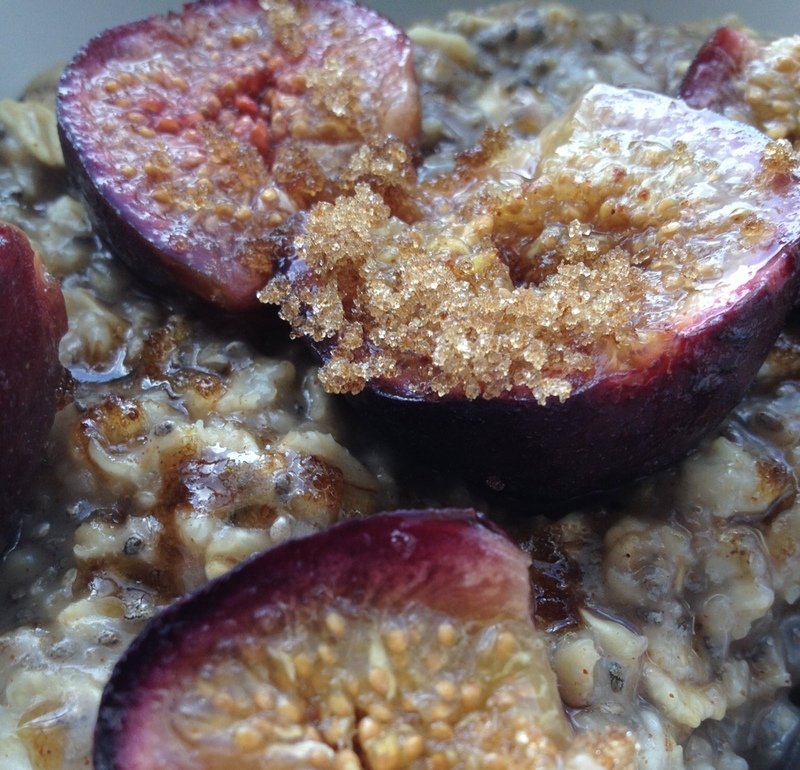 I actually roasted a big batch of figs the night before and topped the oatmeal with cold figs, which cooled down the hot oats nicely. And they are delish eaten straight from the container too! What’s been your most favorite impulse purchase lately? Hi, I'm Emily.. welcome to my blog! I'm a lover of all things food and wine, and try to balance that with fitness to live a happy, healthy life. Check out my About page to learn more about me!